Can you explain Taxation Incentives for the Arts Scheme in Australia and what it means to be an “Approved Commonwealth Government Valuer for the Cultural Gifts Programme”? Specifically, what is an “arts scheme,” and how did you come to be involved in a role that sounds very official? Tax incentives encourage business to engage with the arts sector. It also attracts private investment in the arts and helps stimulate cultural production in the Australian economy. 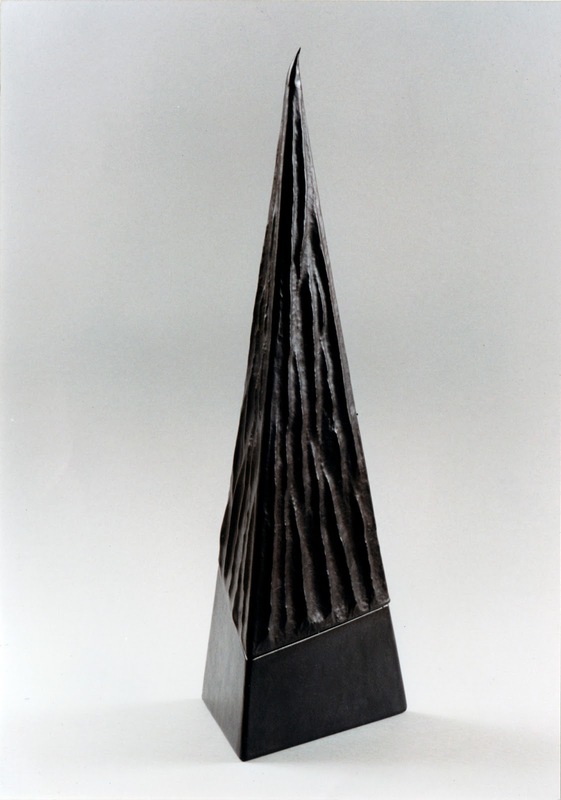 The Cultural Gifts Program encourages gifts of significant cultural items to public art galleries, museums and libraries by offering donors a tax deduction for the market value of their gifts… Valuers have to demonstrate a deep knowledge of their particular area and be recommended by leading authorities in the arts world. In my case, as a director of Gallery East (since 1993) and following working as an assistant curator at the Art Gallery of Western Australia (1988-1993), I was encouraged to apply to be a valuer for contemporary art and crafts as well as modern and contemporary Japanese prints. Kate noted that although Janis did not directly address the term “arts scheme,” his explanation of his title clearly rendered “scheme” much more benign, rather than sinister or foreboding. Nonetheless, pairing “arts” with “scheme” does inspire dangerous fantasies about the potential influence of art. Your exhibition history, referenced on your website, includes shows all over the world but very few in the United States. 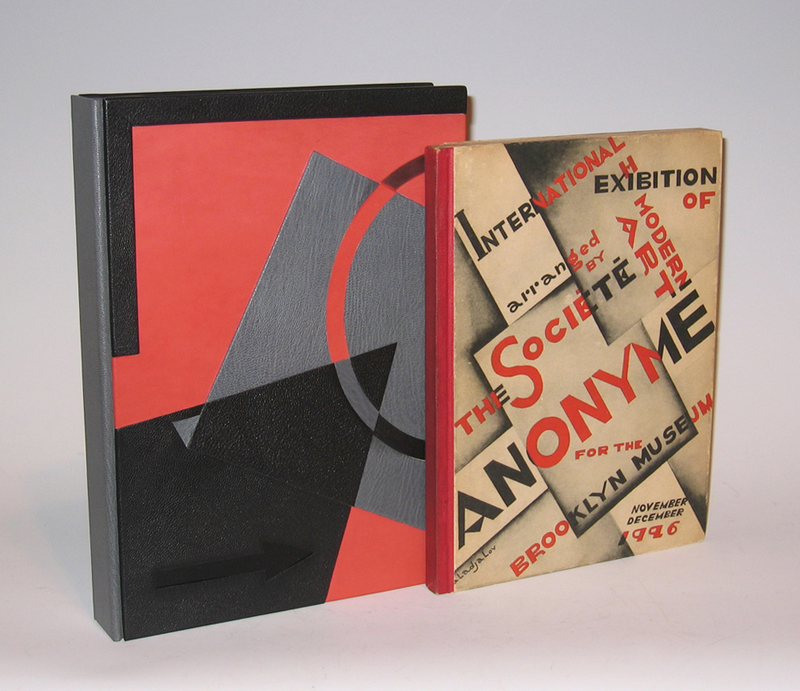 So, how did you come to be involved with the Center for Book Arts? 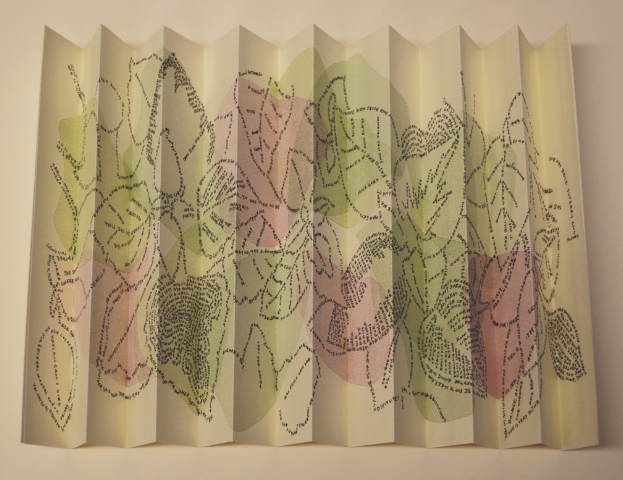 Bookmaking and printmaking seem to be just two approaches to your multifaceted art career. Can you talk about your artistic gestalt? In other words, how have all the ways in which you’ve created work come together to tell your story as an artist? Having studied graphic design, photography, printmaking, ceramics, painting, sculpture and now including in my practice animation, video and performance gives me a wide area to work in and to have fun. But I must say that I do love working with mixed media. Working in several mediums also means that I can participate in more group exhibitions and expand my audience locally, nationally and internationally and have more fun doing it. But language and text have always been central to my work. Whether using collage, installation, painting or animation, it is the book as object and the manipulation of text which constantly inform my work. To have fun creating and producing work is very important for me. If I am not enjoying what I am doing I will go and do something else – work in the garden, read, etc. Working in the studio should not be a chore. I create for myself, and if the public enjoy what I do, then that is a bonus. 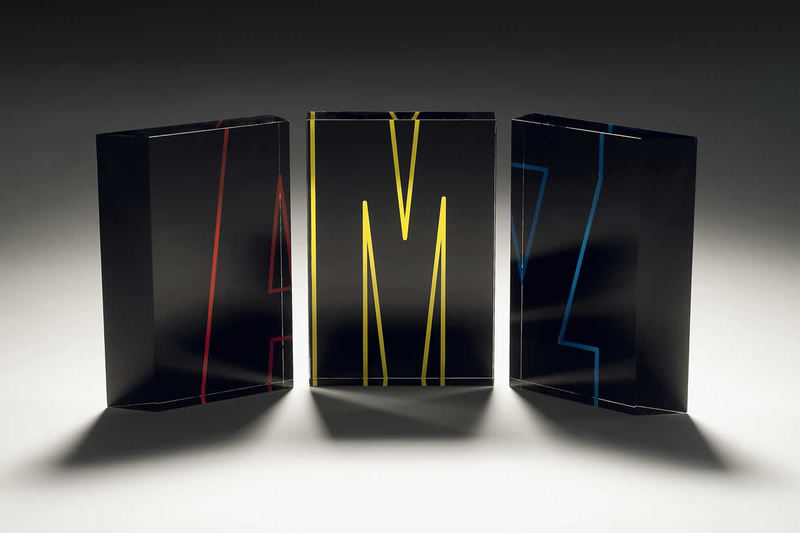 Do you believe that the physicality of books will continue to be culturally relevant and vital into the 21st century? If so, how and why? I would hope so, as I personally love to handle a book: to open its individual pages, to smell the book and its page– something that one cannot do with a Kindle. This was the largest artist-in-residence program I have been involved in so far. I was surprised at the number of students who had not read or held an actual book, but relied on the internet, Kindles, or mobile phones for information. What are you most excited about working on next? A couple of events come to mind. I work as an installations assistant for the Art Gallery of Western Australia, and we are about to install the third of six exhibitions coming from the Museum of Modern Art– Van Gogh, Dali and Beyond. With my own work, I am in the midst of packing to send work to Galerija Bastejs in Riga, Latvia for my solo show, Ephemera, opening in July. The exhibition will be comprised of paintings, wall sculptures, and of course, my acrylic books. I am also involved in a group exhibition of ten Western Australian/Latvian artists that will be touring Latvia. In this exhibition, I will be displaying abstracted drawings. I am still very much creating books in acrylic, but rather than engraving/etching them, I am screen printing on vinyl and adhering the vinyl to the acrylic. 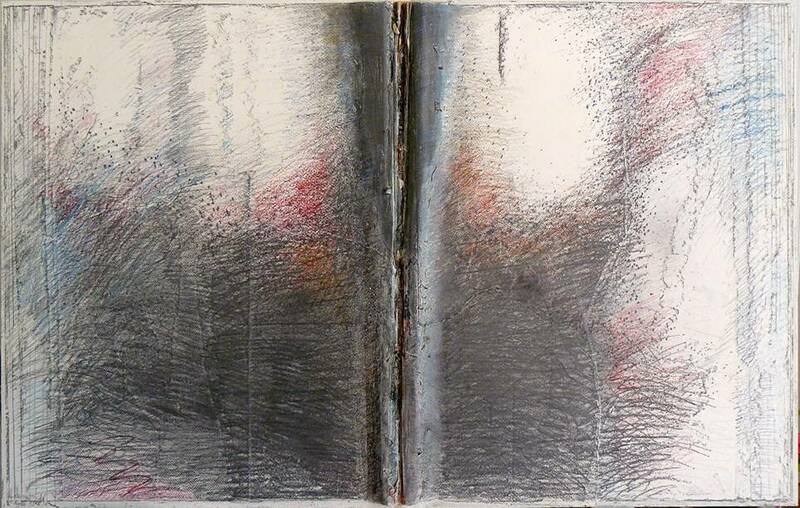 The works so far are more visual, in keeping with the notion of looking at an open book and its pages. Want to give us suggestions or comments? Just want to say hi? Email us at info@centerforbookarts.org, visit us on Facebook (/centerforbookarts) or follow us on Twitter (@center4bookarts). Can’t wait to see you there! 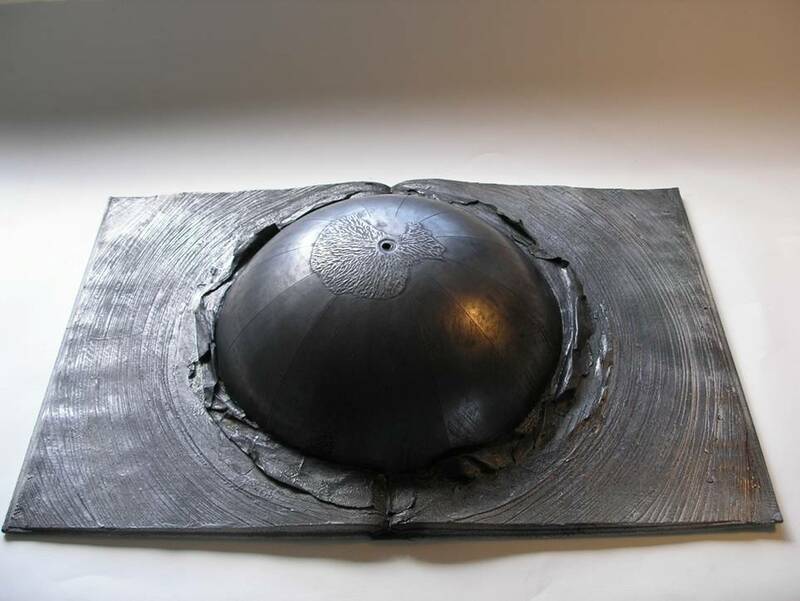 The Center for Book Arts’ permanent collection holds one of your pieces from 2006, Sudden Emergence of the Southern Hemisphere, which combines and alters half a globe with an open atlas. 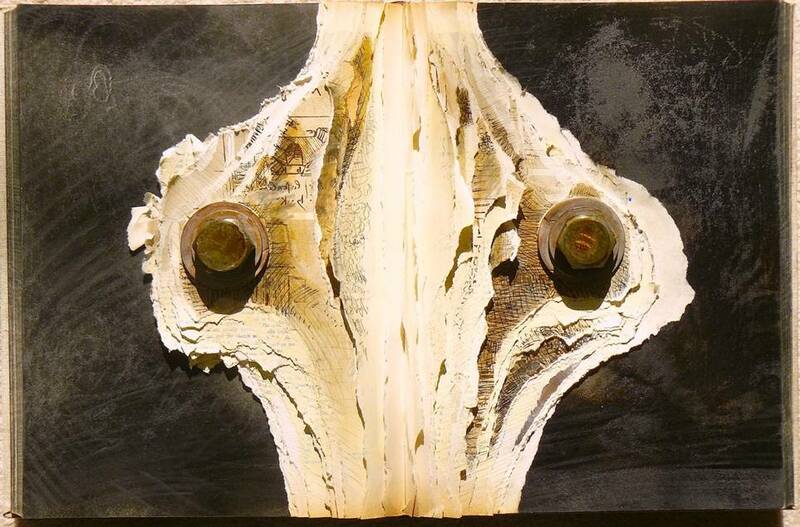 Can you talk about your choice of materials and use of symmetry in this piece? Richard Klein, the exhibitions director at the Aldrich Contemporary Art Museum, invited me to participate in a 2006 show he was curating at the Westport Arts Center called Global. I tackled the theme by imagining a school globe caught in the act of bursting out of the pages of an atlas, like a map with three-dimensional ambitions. Instead of displaying the northern hemisphere, routinely read as the “top of the world,” I decided to invert things and feature the much less familiar south pole. I’d already been altering (well, mutilating) books for nearly a decade, so I didn’t hesitate to fuse globe to atlas by ripping and slicing the opened pages in surrounding ripples. Its strong symmetries—perfectly centered hemisphere, etc.—seemed to give it the implacable, monumental-for-its-size look I was after. Then I painted the piece black and added a heavy graphite rub to give it a metallic sheen. To keep it from looking too weighty and self-important, I left the delicate, torn pages around the hemisphere twisting like uncomfortable questions. 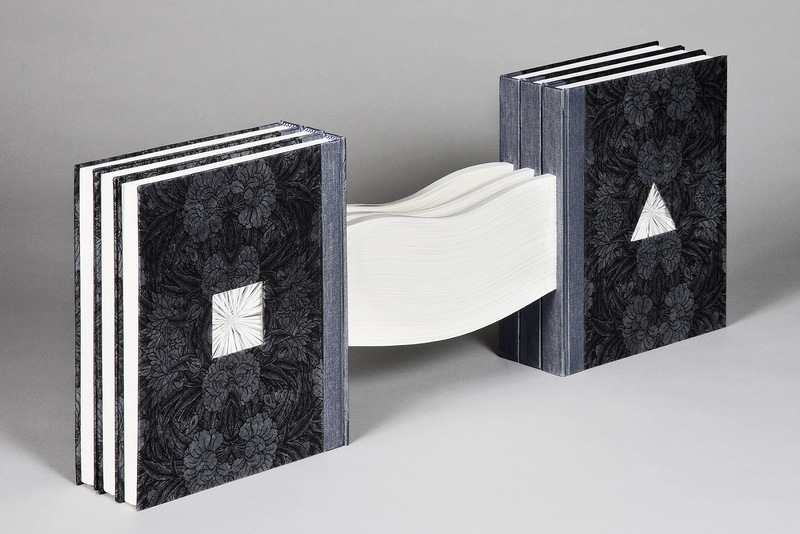 How did you become involved with the Center for Book Arts? As soon as I started working with large format books, I realized I needed to know much more about the craft of bookmaking. I joined the CBA several years ago and have been delighted to find that in addition to holding classes, it’s an artistic community. The talks, exhibitions, portfolio reviews, visits, receptions, have opened possibilities for me. I’m definitely a supporter. You create books in two different ways: by writing content and by creating sculptural interpretations of the book form. 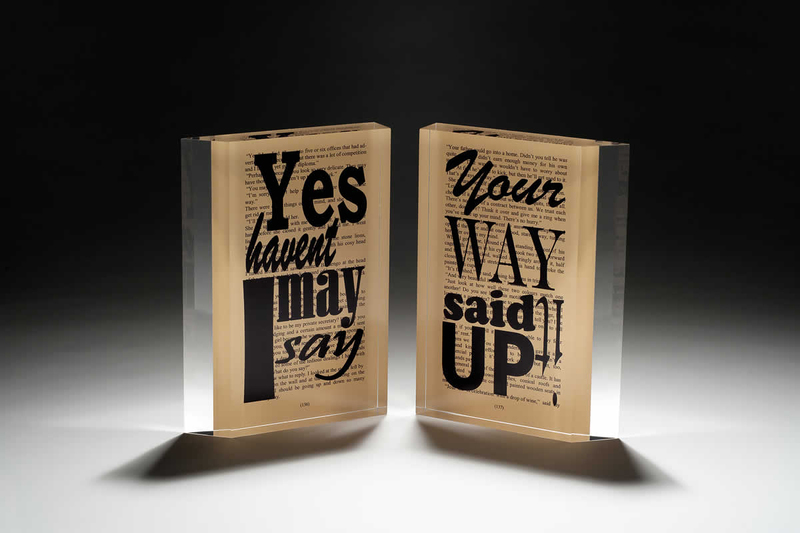 Are these approaches to bookmaking mutually exclusive or does your writing inform the issues presented in your sculptural pieces? 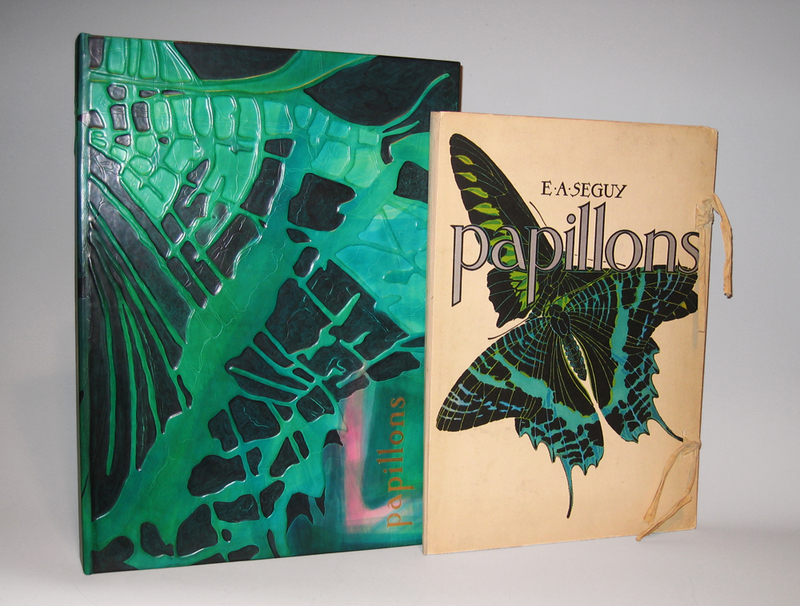 The books I write and the book-related art I create aren’t that closely related. One of my passions is the natural world and endangered species, and I’ve written quite a lot about the subject, but I don’t think you’d pick that up from looking at my art. On the other hand, I’ve written and lectured on art, so there’s some cross-over the other way. Your rich writing catalog includes two critically acclaimed titles on ecological issues in Africa: A Certain Curve of Horn: The Hundred-Year Quest for the GiantSable Antelope of Angola and Ivory’s Ghosts: The White Gold ofHistory and the Fate of Elephants. Both titles are available in print as well as in digital formats. How has digital publishing affected your relationship with writing? Has it affected the way you approach tangible bookmaking? The ease with which texts can be shared digitally certainly helps the spread of ideas. But now that we’re all experiencing information overload, I wonder if readers’ attention spans are getting too short and flighty to really engage with extended arguments and long narratives. Art-wise, I think the way books exist in a digital landscape is a pale simulacrum of their physical presence. That’s part of the reason why books already seem nostalgic to me, even though they’re hardly an endangered species—yet. Ivory’s Ghosts lead to the development of the Ivory Project, and you are still intimately connected to the plight of the giant sable antelope. Are there any recent developments on either front that you’d like to share? We’re always shocked when paintings and sculptures are lost or destroyed. It’s the same whenever a species goes extinct—we lose part of our planet’s living richness. Despite the current poaching crisis in Africa, I don’t think elephants will be wiped out. But the magnificent giant sable antelope is down to less than a hundred individuals. Hardly anyone has heard of it, but if it disappears, the world will have lost a walking masterpiece. There’s more about it on my website. 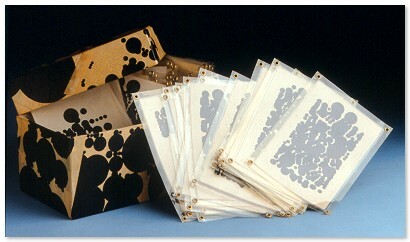 I’m working on a series of very large-format (double elephant folio) open books; wall-works that function like paintings. I want to do them in small editions, so I’m exploring possible collaborations with printers and bookbinders. Although this interview was conducted via email, Kate Burns enjoyed the chance to meet her interviewee at the Center’s annual benefit on April 5. Stay tuned for next week’s interview! 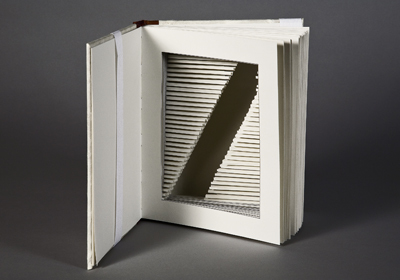 Did your educational background focus on book arts? If so, how has your work evolved over the years? If not, what did you initially focus on and how did that lead you to book arts? I studied to be a painter but found that I spent as much time, if not more drawing. Book arts never entered into the picture until much later, after a disappointing collaborative effort that I didn’t wish to repeat with a new project. I decided the best way to avoid this was to learn bookbinding. I had a large format set of drawings I wanted to make into an encyclopedia of sorts and felt that the only way to get what I wanted was to hand the printer/publisher a book, something that would demonstrate exactly what I wanted to happen inside with the drawings. Before I knew what was happening, the binding process took over. I painted less and less, more and more reluctantly taking time away from the books. Now that’s all I do. 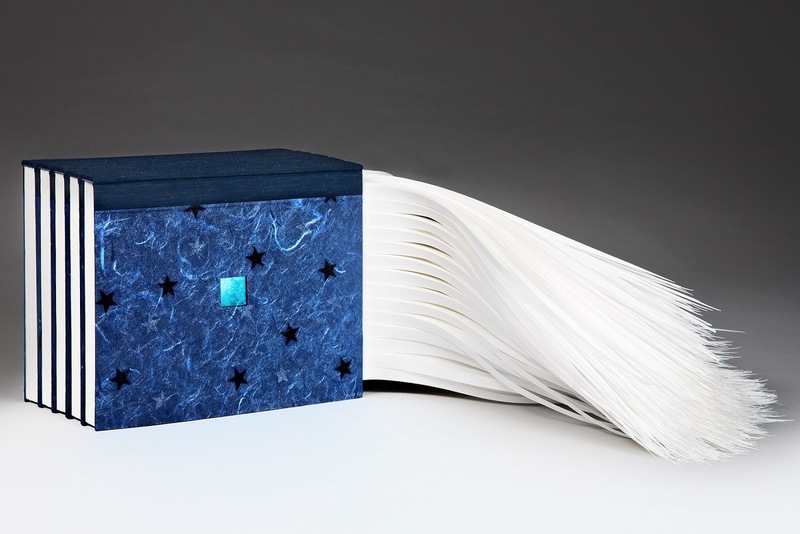 What inspired you to become an artist member at the Center for Book Arts? 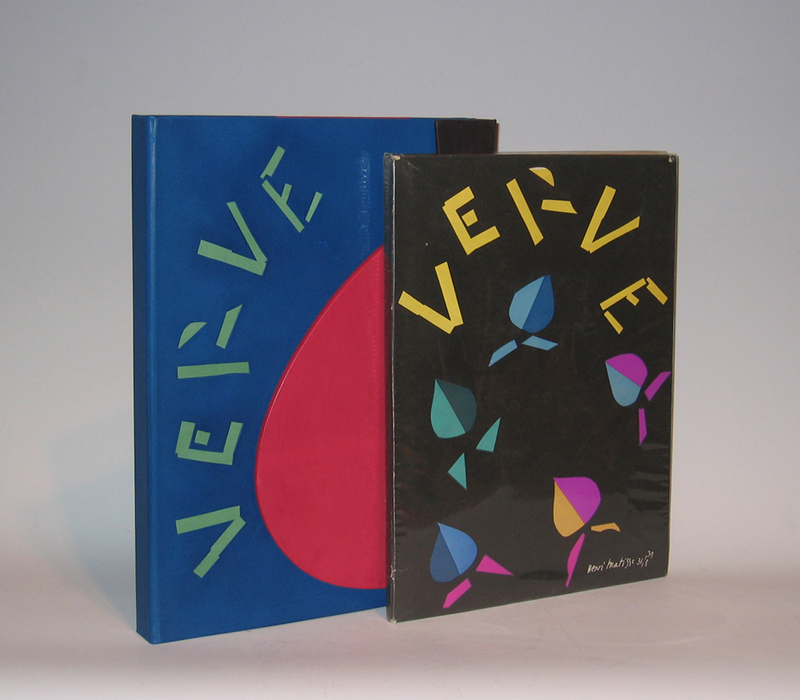 Although your Ripples series was originally inspired by flip books, it is also a departure from creating books as containers for content, as it abstracts the action and moves it outside the boundaries of each book’s covers. How has the relationship between form and function evolved in your work? The large-format drawing project, which spawned my interest in book-making, relied on vellum to allow five images to be seen at once, each successive image fading the farther it is from the top of the pile. As the pages are turned, the next bottom image is visible. The effect is like a flip book with a “preview” of the pages to come before the pages are actually flipped. Vellum is difficult to work with and delicate when handled, so I changed to a hard-press paper and started cutting out the areas to create the effect of a completed flip, that is, being able to see the flip all at once. The movement or shift is 1/10th to 1/20th of an inch for each page. After a while, I felt that there could be more to the flip by extending it outside the covers. After all, who says there has to be a limit? Why are the covers the beginning or end, necessarily? Now, the covers are usually sealed, the pages cannot turn, and nothing is contained within them, except possibly tunnels or containers. The paper I use now is a cold-press, as it is softer and flops around more readily than a hot-press. The flops now set the stage for the shapes I make. As I make more pieces, I learn the choreography that works best for each situation. 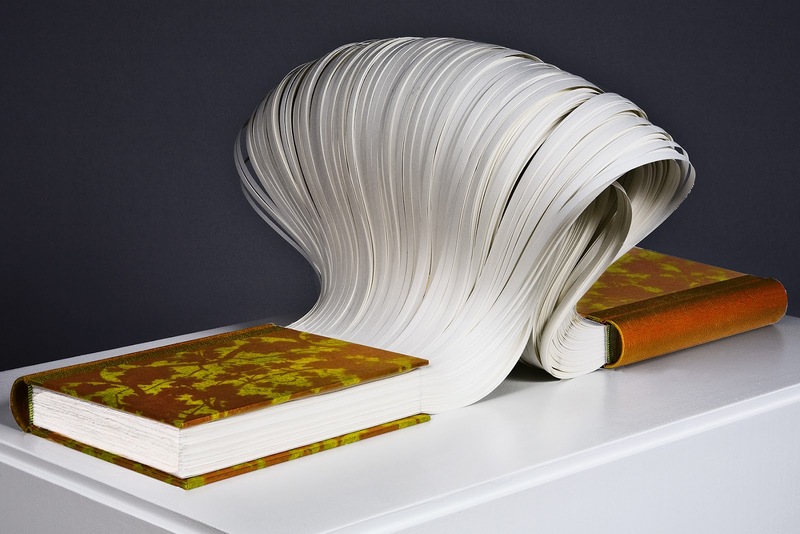 Later in the “Ripples” series, you began pushing the book structure to a more sculptural realm. What ties your ideas to the structure of the book? I find myself calling the pieces “books” less and less often. The books are more like building blocks for structures larger than the books themselves. There are pieces in my studio, both made and planned, that contain more than 50 book units and require hidden steel structural elements to work. The things I want the “books” to say are reaching far beyond what they could say in single volumes. Inner content has never been that important, but rather, it’s always been what the paper, fabric and boards could do, how they could create something never seen before. The words and images that appear in traditional books take one somewhere else- they can entertain or teach, impart new ideas or incite old ones. I don’t want anything that one brings to the viewing to get in the way of seeing something new. The ideas one brings to the viewing by reading words or seeing images changes the viewing experience. I want something clear and without preconceived notions. Your website lists two new exhibitions for 2013, one in central Oregon and one in upstate New York. Are you continuing to show work in same vein as “Ripples,” or has you newer work taken a different turn? The Ripples series is the only series I’m working on. The name comes from the slight movement of the flip cutouts. It refers to the ripples made when a stone is tossed into a still pool. The ripples fan out until they encounter something and echo back, bringing information of that encounter with them. The secondary title for each piece helps me to keep them straight, just having a number was too cumbersome and I could never keep them straight. The secondary titles continue the water-based imagery. What are you most excited about creating next? As I work, I sketch new ideas based on things that happen with the flopping paper, feathering filaments or stacking of sheets waiting for the next step. Completed pieces always present new possibilities, new “what ifs,” and the sketch book comes out and new possibilities are drawn out. I find the newer pieces getting bigger, using thousands of pages, requiring metal supports or plates or requiring very careful and balanced assembly. I’m considering blowing the pieces up beyond human scale and shifting into other materials in order to allow the works to have an exterior presence. The paper and fabric will still be the primary way I work, as the large scale pieces would have to be produced by others, but I am also considering 3-D printing as a way of making models for the large pieces. The possibilities seem so open-ended I can’t imagine what I’ll be doing next year. 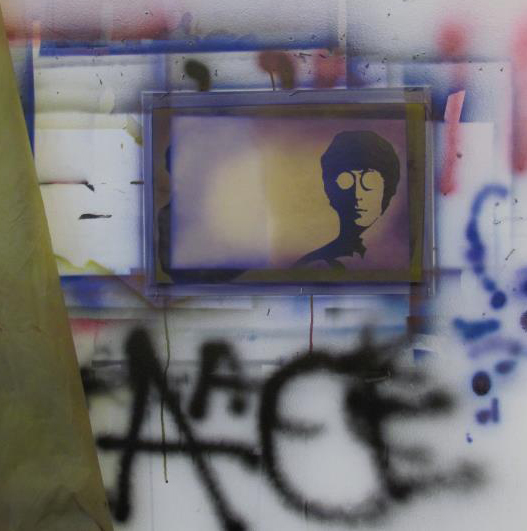 Chris Perry made his way to New York after graduating from art school. He found it difficult to make a living in the arts and so began a career in the construction trades, most notably architectural woodwork. 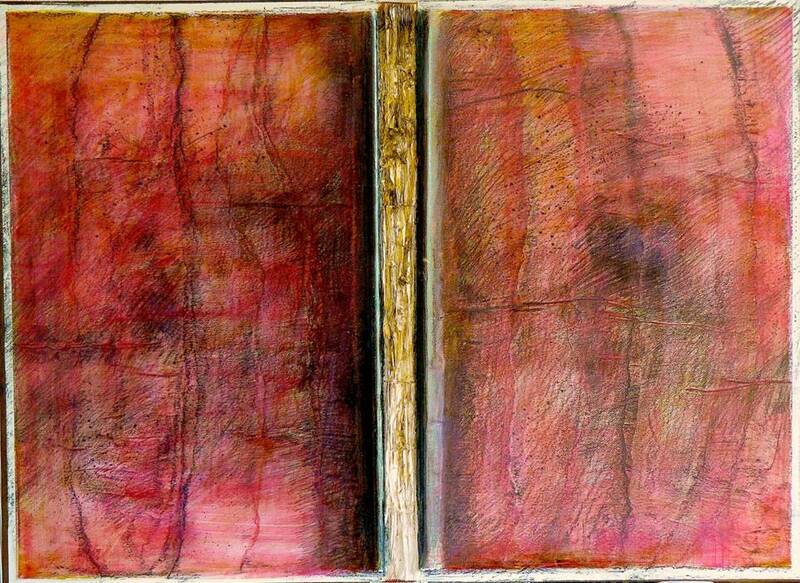 After 30 years, he returned to painting and eventually found his way to bookmaking, as described above. He lives and works in Brooklyn, New York. Kate Burns made her way to New York after graduating from art school, too. She volunteers at the Center on Fridays. Every once in a while we try to post an interview with an artist who works in the studios here at the Center. 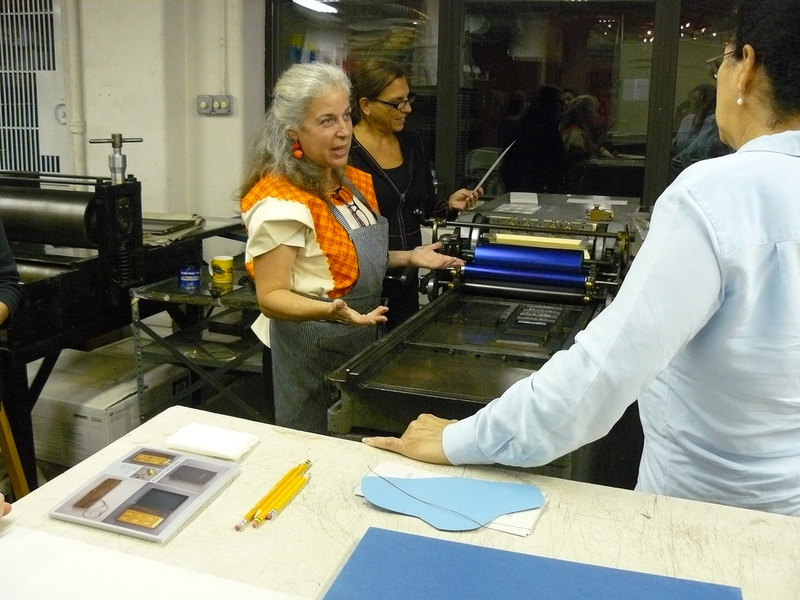 This week Letterpress Instructor Roni Gross wrote up a short interview with artist Biruta Auna about her work. 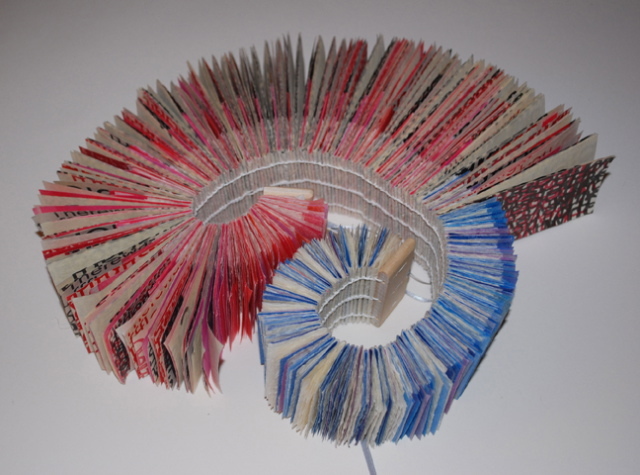 1.How did you get involved with bookbinding? My father owned one of the biggest private libraries in Latvia, so I guess my relationship with books started with my family. I’ve always been surrounded by books. 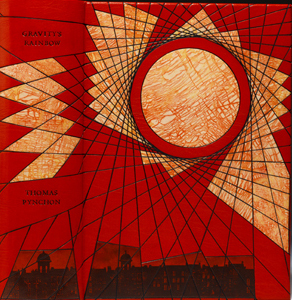 I went to a high school of applied arts and later to the Academy of Arts in Estonia where I studied bookbinding. 2. You have focused on leather in your work for some time. What attracted you to it, and how has your work with it evolved? Bookbinding and leather go together historically. Much attention was placed on exploring leather as a material used in bookbinding in my studies. 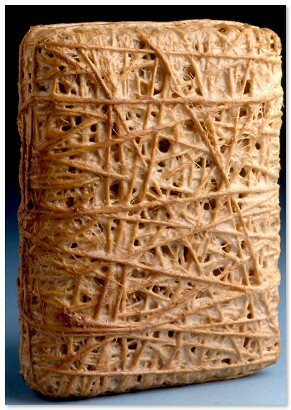 The focus was on an artistic approach to the material, with a lot of experimentation and innovation. That’s how I got “caught”…I could paint and make sculptures with it. 3. Can you speak about your own artwork and what your process is? To paint and sculpt is my desire…along with photography. I use that in creating book designs and boxes. There are times when I wonder why I don’t just have a piece of canvas. 4. Do you enjoy collaboration? Collaboration is an enriching process, sometimes challenging yet rewarding in the end. I do like challenges in general. That’s what keeps me in high spirits. 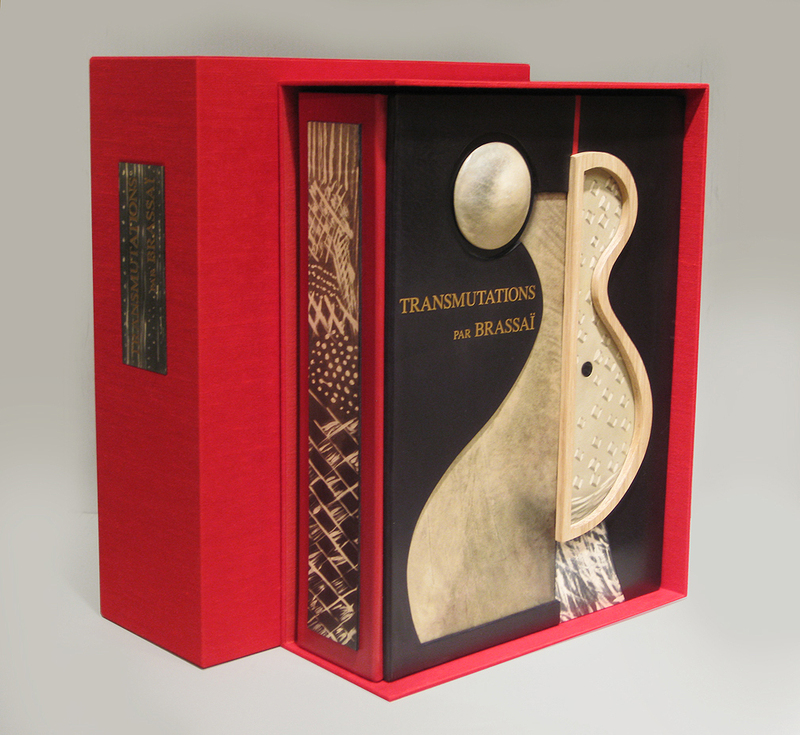 I greatly enjoyed working with you on the Al- Mutanabbi Street project with the Tikilluarit binding, and a recent collaboration with Mikhail Magaril that was a sculptured box for the artist book Golem. 5. Do you mostly extend the content through your binding, or do you also make books where you do both the inside and the outside? My designs are like nice “packaging”…I work with the inside to find the best way to show the essence of the subject on the shell. 6. You are teaching a class at The Center for Book Arts in which students will work with leather using some of your own techniques, called Soft Cover Leather Bound Books. Can you give us a little more information about what they will be doing? In a two day workshop I will guide the students to approach leather creatively and without fear. They will do linoleum-cut designs to be impressed into the leather, do leather dyeing, and they will be encouraged to experiment with different found objects with this technique. By the end of the class the students will have nice covers for their books. Every once in a while we try to post an interview with an artist who works in the studios here at the Center. This week Letterpress Instructor Roni Gross wrote up a short interview with our Programs & Marketing Manager Sarah Nicholls about her work. You were a painter in college and for some time afterwards, how and why did you begin to focus on printmaking and books? Well, I had a painting teacher in college who also made books, and she recommended the Center to her students. So when I came back to New York I took a class at the Center and liked it. So I started volunteering and things sort of snowballed from there. Printmaking and books replaced painting because it just seemed like I could do and say more with it, to more people. And then I had a studio to do it in, and a community around me that was interested in that kind of thing. Is there something about communication/language/multiples that seems like a better fit for you? I get to use both sides of my brain. I get to research and write and draw and distribute. The most enjoyable projects that I’ve been doing recently are my pamphlet series, which lets me indulge my tendency to become obsessed with something specific and obscure and then tell everyone I know about it. Multiples are arrogant in a way, in that you’re assuming from the get-go that there’s more than one person in the world who’s interested in what you have to say. But then they also force you to go out and identify who those people are and communicate with them. Which is probably a good thing. I think that the main object in making things is to communicate with someone other than yourself. Also, with printing I get to use machines, and lift heavy things. I like that part. How do you think your color palette has changed over the years, and why? My color palette generally tends towards the garish. I went through a hot pink phase. Which was closely followed by an orange phase. I usually have to make a concerted effort not to make everything some combination of those two. Sometimes I have this fantasy where I throw out everything I own, live in a one-room apartment with a mat on the floor, some herbal tea, and one sweater, and only make things in subtle shades of light blue. But this seems unlikely. When it comes to color, and most everything else, I believe that more is more. Where do you feel your work is headed? Straight to hell. I think that I’m getting wordier and wordier, and doing more research than I used to. I have a list on my desk of potential pamphlet topics and they all have something to do with either money or technology, so probably in that direction. I’d like to do more projects that have some kind of event that ties into a publication. This year I’m working on a field guide to extinct birds. Right now I’m reading up on John James Audobon and the history of birding in America. 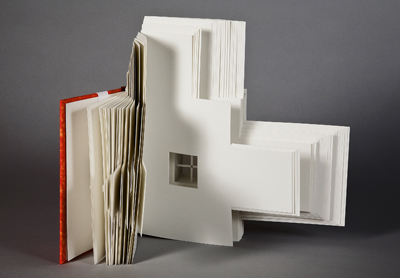 Roni Gross is a graphic designer and book artist. She is the proprietor of Zitouna and Z’roah presses, and teaches workshops on letterpress printing and book arts regularly at the Center for Book Arts. Sarah Nicholls is the Center’s Programs & Marketing Manager, and has been at the Center for the past ten years, managing our studios and public programs. You can see more of her work here and here. For today’s Friday Insights, we have a special treat for all our readers: another artist interview! 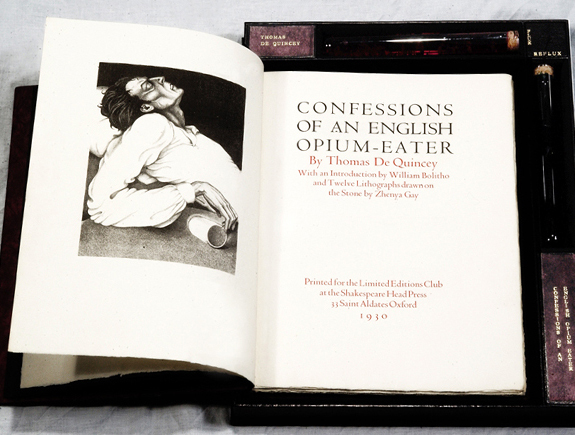 Back in February, we did out first interview with book artist Gavin Dovey. 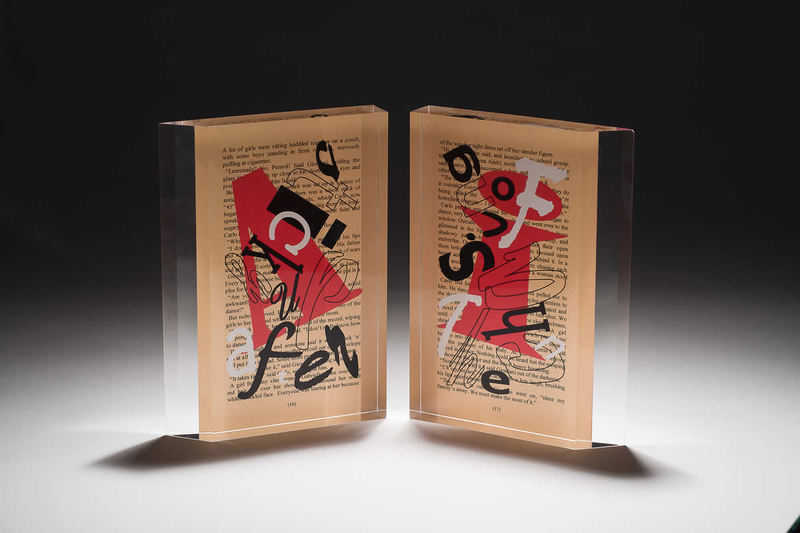 This week we’ll be speaking with letterpress artist Roni Gross, who not only does her own work but also spends a lot of time teaching at the Center for Book Arts. Gross, who is teaching a new class, Playing on Press, next weekend (some spots still may be available, so make sure to check it out!) was kind enough to sit down with us and answer some questions about her time as a letterpress artist—including some typefaces that we might have to explore on Tuesdays! 1. How did you first get involved in letterpress art? Before my involvement with printing and book arts, I was a choreographer. I happened to take class in a studio that was one floor above the Center when it was on Broadway above Houston. I would go down and look at the shows, and was taken with the fact that anything you were interested in could become a book. Eventually, when I stopped dancing, I took an intensive letterpress class with Carol Sturm (Nadia Press) at CBA, and loved the sculptural quality of letterpress and wanted to start making multiples. 2. What’s your favorite piece you’ve created? Whatever piece I’ve just finished is my favorite piece for a time. I often collaborate with my husband Peter Schell, and our bookwork is very satisfying to me. I feel like it expands my ideas of what books can be—as atmospheric, sculptural presences. 3. Do you prefer to set type by hand or by using polymer plates? Having spent so much more time designing on the computer, I think that I am a better typographer generating my work digitally. Being around Barbara Henry, however, has sharpened my eye to the beauty of handset type, and thus, I have been doing more handsetting in the last few years. I think that I have more patience now to work with it then I did earlier on. 4. 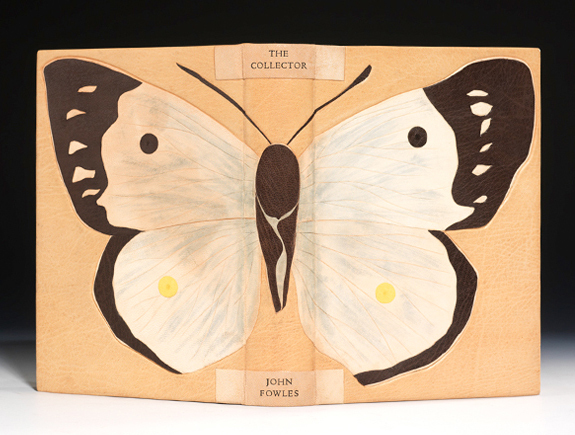 What do you love about the Center for Book Arts? I am all about community. I have made many friends at the Center: fellow artists, teachers, and students. There is a wide range of people coming to the Center and that keeps it interesting. So many different things happen there every week. You never know who you will meet, or what contacts you might make. It’s great to see what kind of work other people are doing, and be able to get some feedback when you want it. 5. You’re going to be teaching a new class, Playing on Press, next week. What’s the most exciting thing about that buy modafinil switzerland class? I think that when people are first learning how to print and set type, they get very focused on technical issues. We tend to want to be very precise register everything perfectly, understand the press, and sharpen our eyes to what good printing looks like. That’s all great and necessary, but it’s nice to take a break from that kind of focus and see that we can actually be looser on press not plan everything out from start to finish but to experiment with making our own pressure printing plates, monoprinting, and manipulating the elements on the bed of the press to build up a print. It’s nice to start out with the idea that you can keep building until you get something you are happy with, rather than having to know where you are going right from the start.There is room for happy accidents, and broader strokes, in terms of using color and shapes. Things can happen more quickly. Anyone can take this class, experienced or not. It’s about using the Vandercook as a printmaking tool. 6. Do you have any advice for aspiring letterpress artists? Printing takes practice and patience. The patience part is something I have to keep learning. It’s always better to do something the right way at the start than to think that you will fix it later. Generally it takes more time to fix it than to do it right at the beginning. When you are just learning it seems like there is so much information to keep in your mind. As time goes on, much of it will become automatic. The best way to learn is to do projects. When you need to learn something, you will. 7. Lastly, for our readers of “Tuesday Typefaces,” what’s your favorite typeface? I can’t narrow it down to one typeface. In my work, commercial or otherwise, I spend a lot of time trying to select a face that speaks so that is generally more important to me than whether I “like” it. Having said that, I do like and use Mrs. Eaves, Perpetua, and Scala a fair amount. Thank you very much to Roni Gross for the lovely interview! Gross is teaching more than just Playing on Press next weekend, so be sure to check out out classes page and see what you can learn! Did you enjoy our artist interview? Want to give us suggestions or comments? Comment on this post, email us at info@centerforbookarts.org, visit us on Facebook (/centerforbookarts), or follow us on Twitter (@center4bookarts). Can’t wait to see you there! For today’s Friday Insights, we have a special treat for all our readers: our first ever artist interview! 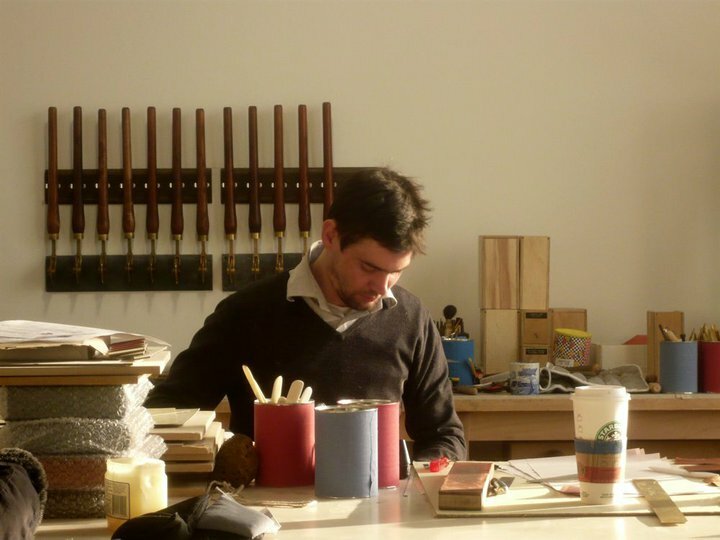 This week we’ll be speaking with Gavin Dovey, a bookbinder and artist whose time at the Center for Book Arts helped lead to the opening of his own bindery, Paper Dragon Books. Dovey was kind enough to sit down with us and answer some questions about being a book artist. How did you come to be a Bookbinder? That’s a question I get a lot and seldom am able to give a suitable answer. I could say that my interest started with reading old first editions from the remainder library of my school that was 900 years old! I could say that that I crashed and burned out of an English degree program, after realizing that I wasn’t going to be the next James Joyce. Or maybe it was the time after that, stuck in a dead-end job, I found my new profession flicking through the local Yellow pages on a whim. All of which may be true, but none of them were the real impetus. The real epiphany took place upon a visit to the one bookbinder listed in the yellow pages in a small town in the very flat midlands of the UK. The bindery seems from memory to be from another world. The odd tools, equipment, the silence…and most importantly for me the intensity of the bookbinder Mark Cockram, and the astonishing beauty of his work. It turns out that I had stumbled upon a young Mark Cockram, then my age, and who is today a celebrated binder famed for his inventiveness, artistry, and fastidious attention to detail. Now I can’t point to an intellectual connection with the world of bookbinding, no. My immediate fascination with it was much more visceral, tactile…I just wanted to be able to make objects as beautiful as Mark’s, and all I knew was that I didn’t want to do anything else after that point. I studied with Mark for a year, and learned a great deal. He then saw that I enrolled in the last full-time design bookbinding course at the London College of Printing, and since then I’ve worked in many binderies in many capacities, finally washing up on the shores of Manhattan, where I was fortunate enough to be able to open my first bindery. What’s your favorite piece you’ve created? What’s you’re favorite part of designing a book? Having completed an inordinate amount of fine work in the last few years, I have learned a great deal. The most joyous of these discoveries are those that afford me greater freedom as a binder. Lately I have had great success with printing and stenciling leather covers, inlays, and onlays, and I know that I am very fortunate to be able to continue to make these developments everyday, and hope that it continues. Any skill a binder learns, uses and then enjoys, adds to their experience as a whole. Learning methods to finish in gold leaf with consistent results has personally been for me a great hurdle finally cleared in the last 5 years. Anything that you learn that you are then able to use to earn a living and create work in a field that you love would make anyone feel good. Knowledge is power, and knowledge is freedom too! 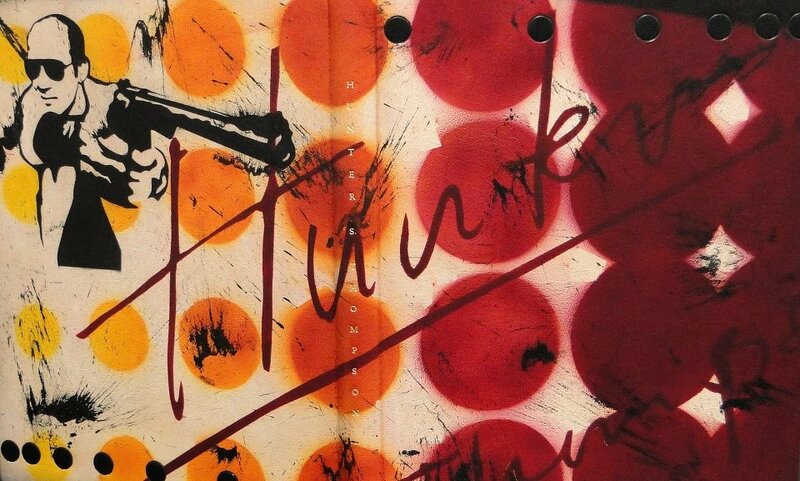 What do you love about the Center for Book Arts? When I first came to New York, I naturally gravitated to the Center for Book Arts on 27th st. The Center provides invaluable access to great teaching in a fusion of book art related fields, as well as work study programs, internships, and scholarships. More than this it provides access for young book artists to a working studio space that binders and printers can rent at affordable rates whilst building their careers, enabling some, like me, to go on to open their own studios. Without which I personally would have found it a great deal harder getting a start in the city, so I for one am very thankful for these opportunities and hope they continue to do great things in the future. Do you have any advice for aspiring book artists? As far as advice goes, what little I can offer is “start small,” a hard lesson I learned starting in 2006. Never take on work that you are not comfortable with and always bind to your limitations. If you feel too limited, you need to learn more. Never expect anyone to buy work from you that you wouldn’t buy, and always be comfortable standing behind your work. Keep your knives sharp, don’t expect work to come to you, and be ready when it does. Mark always used to tell me “if it’s not right, do it again,” that one has served me well. When it becomes too much like work, something is wrong. That’s about it from me. 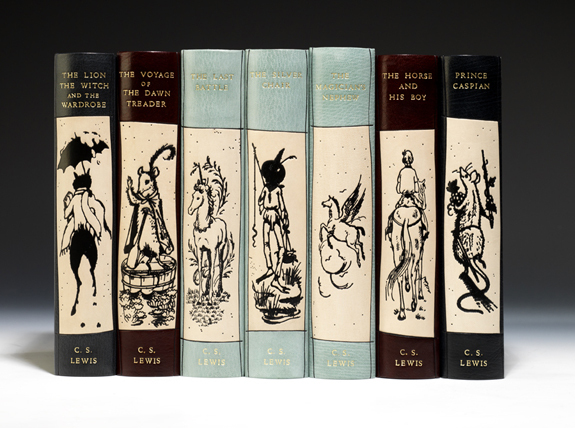 Where do you see book art going in the future? The Future? Who knows…certainly not me. It seems this question is about the difference between a specialised approach and a generalised approach. Questions about the state of the book and the role of new technologies I will leave to the intellectuals…All I know is, as I go forward I will worry less and less about these, and hope that I am able to get to a point where I can concentrate on the work I want to do. There will always be people that love art, books, and fine craftsmanship, and if you make good books or art, there will always be people to support you…And if not, well, I’m going to carry on regardless.